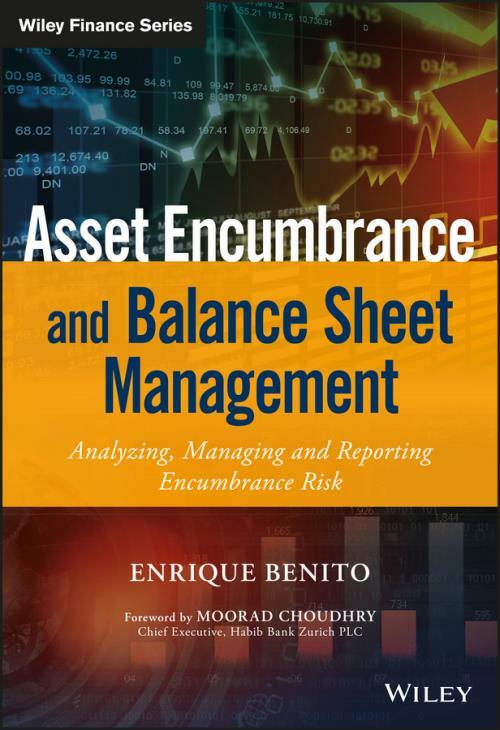 Asset Encumbrance and Balance Sheet Management examines a wide range of strategic, risk management, and regulatory implications to bring you the only practical guide to measuring, analyzing, and reporting asset encumbrance risk. New regulatory scrutiny and requirements have brought asset encumbrance into the spotlight, with ICMA, BIS, and the FCA all agreeing on the critical urgency of the issue. This accessible guide walks you through product–by–product to help you accurately asses the impact of asset encumbrance, and shows you how to implement new regulatory requirements in areas including risk appetite articulation, stress testing, reporting, and disclosure of encumbered and unencumbered assets. Coverage includes balance sheet and funding management, valuation and modeling, risk management, regulation, reporting, and disclosure. New regulatory requirements state that European institutions must report encumbrance levels to regulators, and publicly disclose them to market participants in their annual accounts and Pillar 3 disclosures. Asset Encumbrance and Balance Sheet Management provides explanation of these complex procedures and clear guidance on how to comply with the new regulations. Asset encumbrance has risen since the recession; the European Systemic Risk Board reports that the average ratio of encumbered over total assets rose from 11% to 32% between 2007 and 2011. It′s more vital than ever that firms have a clear understanding of how to measure, analyze, and report encumbrance risk. Asset Encumbrance and Balance Sheet Management is a comprehensive, explanatory resource, written for practical guidance.